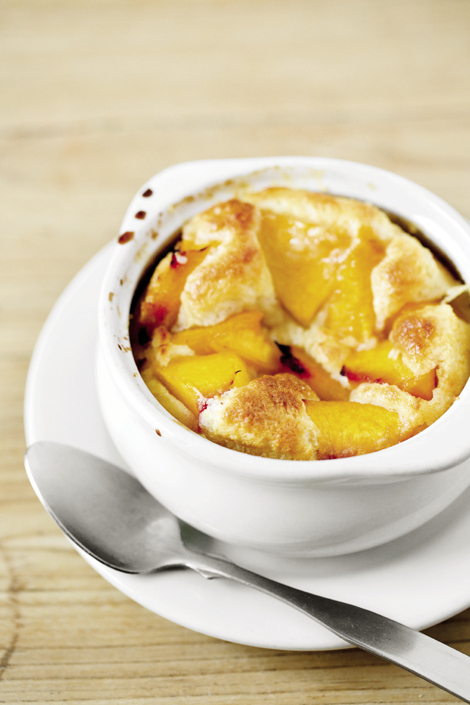 25 Reasons Our Food Scene Rocks: True. We're biased. But we can't imagine a better place than the mountains to meet your local farmer, become a food entrepreneur, nosh on artisan eats, and savor a pint (or three). 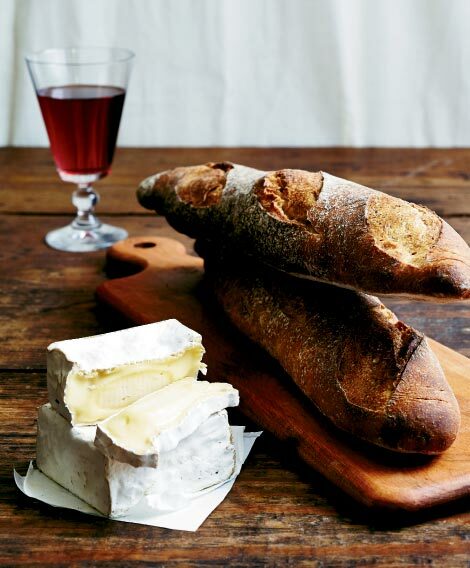 For every baguette, rye, or semolina loaf pulled warm from the oven, there is a perfect match in a farmstead cheese, Brie, or chèvre. For your tasting pleasure, David Bauer of Farm & Sparrow bakery gives us a coupling of great local flavors. Asheville calls itself Beer City, but the brewing buzz is spreading across the region like hops on a vine. Just more than a year old, Brevard Brewing specializes in flavorful lagers, which brewers will tell you are the most demanding beers to craft. Its American Premium lager and Bohemian pilsner are refreshers on hot summer days. Blind Squirrel Brewery in Plumtree, run by the brewing collective Earl the Squirrel, offers an easy-drinking cream ale. Calaboose Cellars, known as the country’s smallest free-standing winery, is now making suds in Andrews. Its citrusy wheat beer is a lovely companion on the deck outside the tiny tasting room. www.brevard-brewing.com; www.blindsquirrelbrewery.com; www.calaboosecellars.com. Vegetarians, vegans, and practitioners of gluten-free living don’t have to settle for after-thought culinary creations in Asheville. Rosetta’s Kitchen and Laughing Seed Café cater to vegetarians and anyone else who believes meat doesn’t make the meal. Rosetta’s peanut butter baked tofu, paired with sautéed kale and smashed potatoes is legendary. At Laughing Seed, the delicious favorites include the omega hempnut burger, dressed with red pepper aioli, clover sprouts, and fresh veggies, as well as the brown rice Harmony Bowl and Indian Thali plate. Vegans can find watermelon and tomato gazpacho with a dollop of cashew cream at Plant, or go for hazelnut-encrusted seitan and truffled cauliflower for the full gourmet experience. Gluten-free Posana Cafe serves up the sophisticated likes of lobster mac ’n cheese and a Hickory Nut Gap pork chop with sweet potato-spring onion hash, green tomato jam, and parsley coulis. Rosetta’s Kitchen, 116 N. Lexington Ave., www.rosettaskitchen.com; Laughing Seed Café, 40 Wall St., www.laughingseed.com; Plant, 165 Merrimon Ave., www.plantisfood.com; Posana Cafe, 1 Biltmore Ave., www.posanacafe.com. Available at: Earth Fare, Greenlife Grocery & North Asheville Tailgate Market. This year, Asheville made history as the first city in the United States to be dubbed an official Green Dining Destination, a collaborative accomplishment of the Asheville Independent Restaurant Association and Blue Ridge Sustainability Institute awarded by the Green Restaurant Association. From sourcing food at nearby farms to energy-saving tactics, 16 Certified Green Restaurants demonstrated a commitment to environmentally sustainable practices. Among them, Posana Cafe was the first Certified Green Restaurant in North Carolina. Owner and Executive Chef Peter Pollay partners with more than 30 local farmers and food producers to create his gluten-free menu. The restaurant also relies on solar panels to heat water, initiated a composting and recycling program, and used sustainable materials to create the interior décor. The Green Sage Coffeehouse & Café buys primarily locally sourced, organic ingredients and offers on-site compost and recycling bins. And with the help of a state grant, owner Randy Talley installed 12 thermal roof solar panels and six 80-gallon storage tanks, to generate solar-heated water. The cafe also met certification criteria by using toxin-free paint on the walls and compostable utensils and straws made from compressed potatoes and corn. Other green eateries include Bouchon, The Corner Kitchen, Luella’s Bar-B-Cue, Plant, Strada, and Tupelo Honey Café. For more, visit dinegreen www.asheville.com or www.airasheville.com. The fertile mountain soil that produces lush fields of vegetables also grows nutrient-rich grass, which is why the pasture-fed, antibiotic-free beef and bison raised here taste so fresh. Grazing on open grasslands and wooded hills, Angus and Braunvieh cattle produce well-marbled rib eyes at Brasstown Beef, a family-run farm in Cherokee County that’s nearly 70 years old. 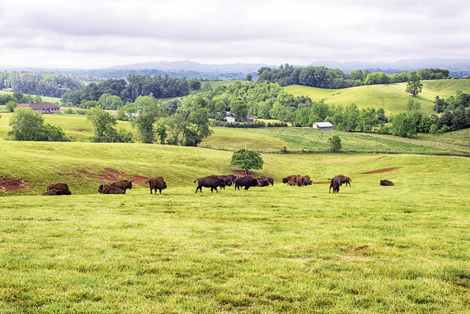 Bison that range freely at Carolina Bison’s large ranch in Leicester are certified organic, high in natural nutrients, and native to North America. The sweet clover and grass pastures at Hickory Nut Gap Farm in Fairview nurture cattle lower in fat than cows raised on feed lots. www.brasstownbeef.com; www.carolinabison.com; www.hickorynutgapfarm.com. In his navy shirt and cap emblazoned with the company logo, Jonathon Flaum looks every inch the milkman that he is. He and his wife, Tami, own Farm to Home Milk, an Asheville-based delivery service that supplies chilled bottles of milk and cream, as well as local eggs, bread, cheese, meat, fish, coffee and cookies. Clients fill an online cart with goodies from sources that include Farside Farm, Sunburst Trout, and City Bakery, and choose the frequency of delivery. The Basic Starter Pack ($21) includes milk, a loaf of bread, and eggs. Flaum left the corporate speech writing and development world for a simpler plan. People have embraced the new biz, with more than 300 signing up in the business’s first four months. “People here like having a personal connection to their food,” Flaum says. “I see kids waiting for me to drive up, especially when I’m bringing chocolate milk.” www.farmtohomemilk.com. Shopping the abundant crop of farmers markets and loyally picking up CSA boxes brimming with veggies and fruits are hallmarks of our fresh-food culture. Happily, we can add farm stores to our locavore sources. The renovated historic Mill Spring School is home to Mill Spring Farm Store, a year-round, volunteer-run farmers market that hosts 115 Polk County vendors selling seasonal produce, grass-fed meat, and crafts. 156 School Rd., Mill Spring; Monday-Friday, 9 a.m.-4:30 p.m., Saturday, 9 a.m.-1 p.m.; (828) 894-8028; www.polkcountyfarms.org. 142 S. Water St.; www.propermeal.com. 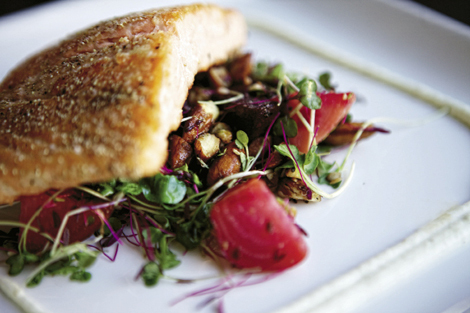 Fantastic food ideas thrive in the mountains thanks to Blue Ridge Food Ventures. This shared-use kitchen incubator in Enka has helped launch some truly tasty start-ups, including beloved Lust Monk Mustard and Buchi Kombucha, by walking entrepreneurs through product development, packaging and label design, and food regulations. One of the newest ventures to hit the streets is Amy Pickett’s gelato cart, Sugar & Snow. The young mom traveled to Italy to choose her gelato machine and experimented with recipes at home before coming to BRFV. She sources ingredients from North Carolina creameries, such as Maple View Farms, and herbs and fruit from tailgate markets. The result is delicious batches of fruity ices and creamy concoctions like fresh mint chocolate chunk and toasty pistachio. For a schedule of locations, visit www.sugarandsnowgelato.com. WNC grows more than 85 percent of the apples in the state, and no county produces more than Henderson, which ranks seventh in the nation. Apples are a $24 million to $30 million crop there, where orchardists tend more than 5,000 acres of trees. 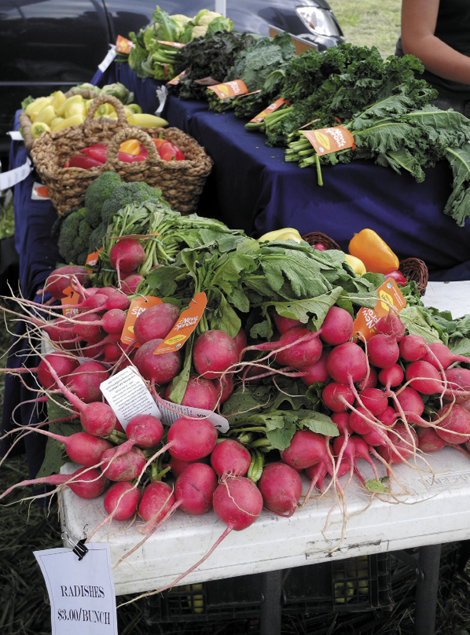 Capitalizing on warm days, chilly nights, and loamy soil, growers supply favorites, such as galas, goldens, red delicious, and fujis, as well as heirloom varieties. In WNC, we celebrate local flavors, from the sweetest blueberries and apples, to the über savory ramp, and even the acquired taste for livermush (gulp!). Our evenings are filled with wine tastings and dinner reservations at the latest foodie haven. 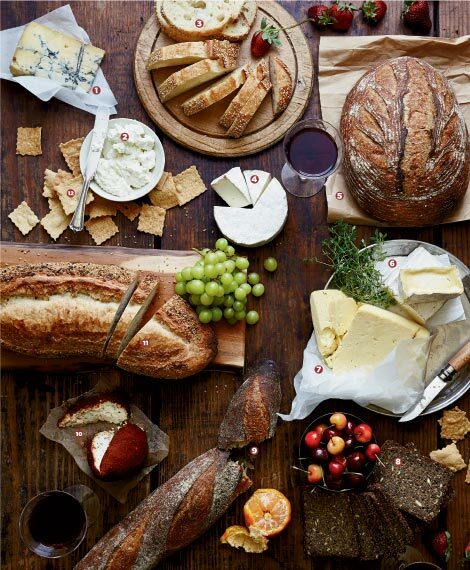 Entire meals, from appetizer to dessert, revolve around the goodies carried home from the abundance of farmers markets. And we happily and fanatically raise a pint glass to every new brewery to open its doors (32 at last count). Ours is a self-fulfilling, community food scene, and it all comes together during the annual Asheville Wine & Food Festival, August 20-24. Check out the feast of happenings, then visit www.ashevillewineandfood.com for tickets. Four chefs face off in the Iron Chef-style semifinals, but you get to dine and decide who wins! The last two chefs fight to the finish in front of the crowd at the Grand Tasting, with a panel of judges deciding who is named the Best Chef in WNC. You can quit your day job and spend a year getting acquainted with the vast regional culinary scene, or you can be smart and get your ticket for the Grand Tasting. Chocolatiers, bakers, cheese makers, vintners, brewers, restaurateurs, and distillers turn the house into an oasis of local eats, sips, and pints. U.S. Cellular Center, 87 Haywood St.; Saturday, V.I.P. 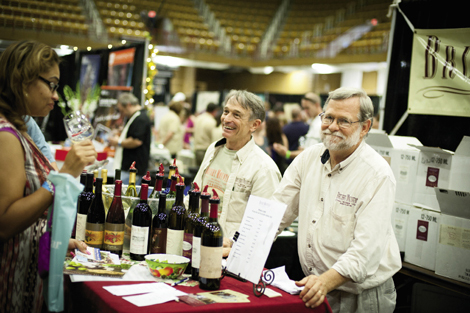 noon-5 p.m.; general admission 1-5 p.m.; www.ashevillewineandfood.com. In WNC, family-run Sunburst Trout Farm is the go-to source for delicious filets, as well as tasty trout caviar, trout jerky, trout dip, and so on. With the opening of Sunburst Market in Waynesville, the Easons deepened their commitment to the local food community. You can stock up on Hickory Nut Gap beef, artisan cheeses, and local beer and sustainable wines from the likes of Frog Level Brewing and Shelton Vineyards. 133 Montgomery St.; (828) 452-3848; www.sunbursttrout.com. 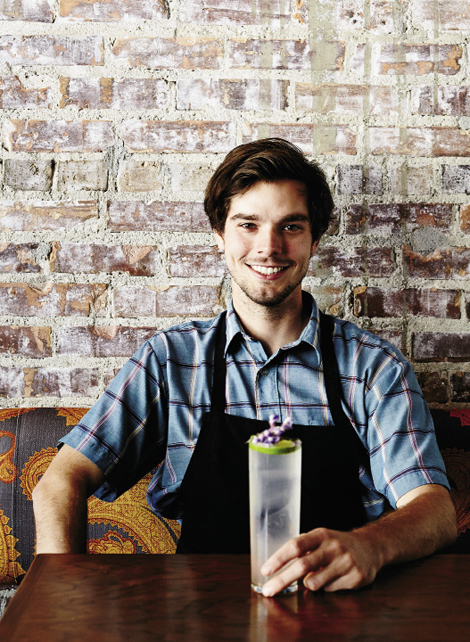 When Ben’s Tune Up and Blue Kudzu Sake open this summer, Asheville can claim bragging rights for the fourth and fifth micro-sake breweries in the country. According to Blue Kudzu co-owner Mitch Fortune, “Wine has 600 identifiable flavors; sake has 2,500 flavor components.” www.benstuneup.com; www.bluekudzusake.com. Our region’s culinary reputation is built on the connections forged between chefs and local farmers, largely by the Appalachian Sustainable Agriculture Project. We love ASAP not only because it finds markets for local meats, produce, cheese, breads, and other delectables, but because it brings locally grown food to school cafeterias through the Growing Minds Farm to School program. The nonprofit’s Local Food Guide details 800-plus family farms, tailgate markets, wineries, U-pick farms, and stands in Southern Appalachia. On September 21 & 22, you can visit many of these growers during the annual farm tour. www.asapconnections.org. Craft brew is big business, so much so that colleges are ready to school us with programs in beer production. 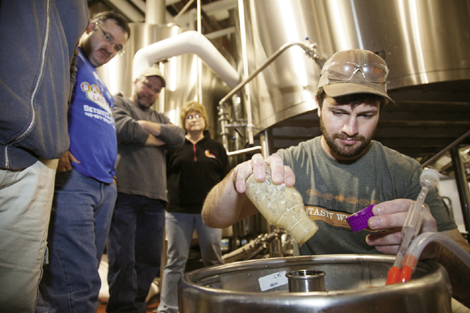 Last summer, Appalachian State University announced its four-year fermentation science degree, with participants gaining hands-on experience working at the nonprofit production facility, Ivory Tower Brewery, managed by faculty and students. In January, Blue Ridge Community College launched its Craft Beer Academy, which partners with area breweries, including Oskar Blues and Sierra Nevada, to impart production experience. 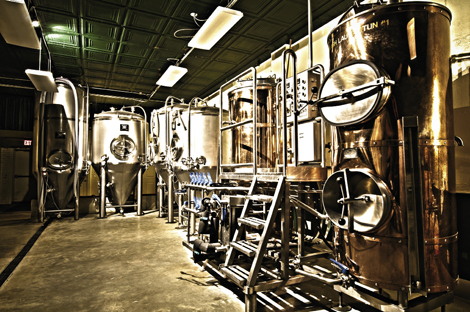 Upon completion, continuing ed types can take the International Brewery & Distilling exam for accreditation. And this fall, aspiring brewmasters can enroll in an associate’s degree program in brewing, distilling, and fermentation through BRCC or Asheville-Buncombe Technical Community College. A-B Tech’s Craft Beverage Institute of the Southeast also addresses marketing, tasting room management, and hops growing. When you grab a cup of Joe from your favorite independent coffee shop, chances are the beans used to make it were roasted in the mountains. Roasting is a finely calibrated process that turns the green seed of the coffee berry into the many subtle varieties of wake-up juice we enjoy. Behind the best cups are responsibly sourced beans. Bald Guy Brew epitomizes this trend. Owner Don Cox gauges the success of his business in terms of its positive impact locally and globally. By purchasing beans solely from sources using organic practices and selling the product in compostable bags and cups at its Blowing Rock shop, Bald Guy aims to empower coffee growers and minimize its environmental impact. “What good is a business if a business isn’t doing good?” Cox asks. www.baldguybrew.com. The paths to wine, cheese, and beer enlightenment are mapped out for you. More than 36 vineyards dot the Yadkin Valley Wine Trail. From the Italian-inspired château at Childress Vineyards in Lexington to small-scale operations like Laurel Gray Vineyards in Hamptonville, wine tastings and tours abound. (336) 325-3466; www.yvwt.com. Launching this summer, the WNC Cheese Trail connects aficionados with producers as far-flung as Yellow Branch Cheese in Robbinsville and Heritage Homestead in Jefferson. At select stops, you can see the production process, sample and buy goat and cow milk, as well as raw and pasteurized cheeses. (828) 458-0088; www.wnccheesetrail.vpweb.com. With more 20 breweries filling pints in town, the Asheville Ale Trail makes it clear why the town won the Beer City USA title three years in a row. 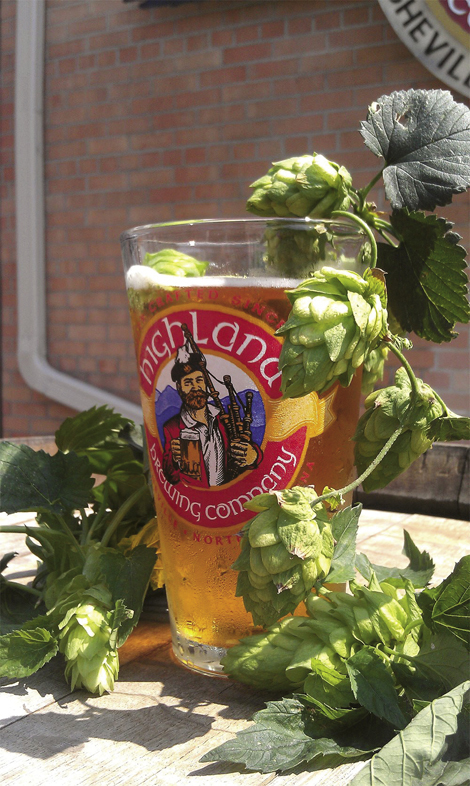 Along the way, you can raise a glass to the grandfather of the local beer scene, Highland Brewing Company, which is crafting beloved favorites like St. Terese’s Pale Ale and Gaelic. Newcomers to the roster, include Burial Beer Company, specializing in lagers, Hi-Wire Brewing Co., and the long-awaited Oyster House Brewing Company. The Ale Trail site also leads you farther afield to Bryson City’s Nantahala Brewing and HeinzelmIännchen in Sylva. Check the website often for events, including beer pairing dinners. May we suggest a designated driver or a taxi for this one? www.ashevillealetrail.com. The next generation of locals won’t know what a TV dinner is thanks to children’s programs passing on a love for fresh ingredients. The Cherokee County Arts Council’s Color & Healthy Food Project is connecting with fourth-graders to impart the importance of a color-rich diet. Slow Food Asheville’s FEAST program provides hands-on group cooking instruction that is geared toward low-income youth. 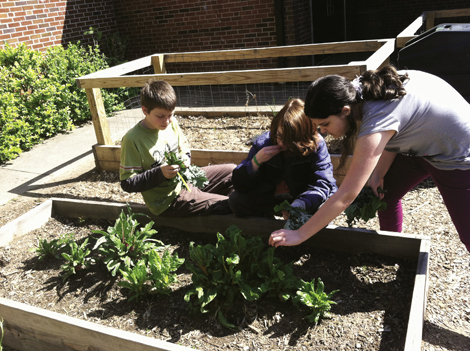 New this summer, Five Farms Camp is taking kids straight to the source. Children ages nine and older visit five farms in a week to learn about aspects of farm life, such as caring for chickens and bees or picking berries. www.cherokeeartscouncil.org; www.slowfoodasheville.org; Five Farms (828) 242-0667. Since our restaurant scene thrives on farm connections, it only makes sense that chocolatiers would follow suit and go straight to the source for their beans. Black Mountain Chocolate, started in 2007, was the first bean-to-bar chocolate maker in the state. Founder David Mason works with Peace Corp volunteers to source his cocoa primarily from the Conacado co-op in the Dominican Republic. And Dan and Jael Rattigan of French Broad Chocolates in Asheville began direct sourcing cacao from farmers in Central and South America last year. So what’s all the hoopla about bean-to-bar? Direct sourcing gives these chocolatiers control of the quality, and they’re doing good by putting money directly in the hands of farmers. Both company’s chocolate bars can be found in local grocery and specialty stores and at The French Broad Chocolate Lounge, but if you want to learn more, sign up for a tour of the French Broad Chocolate Factory. It’s a fascinatingly sweet excursion. Black Mountain Chocolate, www.blackmountainchocolate.com; French Broad Chocolates, tours Saturday, 2 p.m., $10, (828) 505-4996, www.frenchbroadchocolates.com. Once upon a time, we were satisfied with slushy margaritas blended with saccharine mixes, rote whiskey sours, and the occasional flavor-infused martini. Never again. Of late, the term craft cocktail has become a buzz phrase in Asheville where bars are taking mixed drinks seriously again. Perhaps inspired by our culinary excellence, mixologists are emphasizing quality ingredients, balance of flavors, and presentation. Kyle Beach of MG Road builds drinks around flavor profiles, such as tamarind, Darjeeling tea, or masala spice. Located below Chai Pani Indian eatery, MG Road makes use of the restaurant’s spice closet, giving potions an exotic kick. Perfect for summer sipping, the lounge’s Sage Advice with lemongrass-infused vodka presents a citrus-forward flavor that is light and refreshing. MG Road, 19 Wall St., Asheville; www.mgroadlounge.com. Grilled cheese on the go? Falafel outside the brewery? Korean barbecue on the corner? Food trucks are driving a bold new culinary landscape. 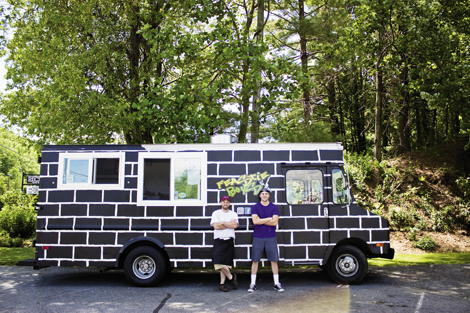 In Watauga County, the Feastie Boys Gourmet Food Truck has taken Boone by storm, composing sammies and burgers slathered with house-made sauces like sriracha mayo and churri-pesto. “We’re nothing more than a sandwich truck,” says manager Garrett Atkinson, who with chef Hunter Hallmark owns the operation. “But people will come back because we’ve helped create an experience and people can watch us scramble around to see something simple done right.” See the recipe for the Feastie Boys' veggie burger below. www.feastieboys.com. • Reza Setayesh, a 1987 graduate of the culinary program, now owns the lauded Rezaz in Biltmore Village and Piazza pizzeria in Fairview. • Justin Wangler is now the executive chef at Kendall-Jackson Wine Estates in California. 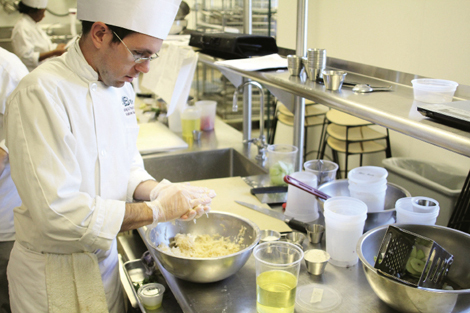 • This year, alumnus Daniel Gorman was named Best Young Chef in the World at the Hans Bueschkens World Junior Chefs Challenge in Daejeon, South Korea. Blueberries, blackberries, apples, pears, tomatoes, pumpkins—there is a U-pick farm for every fruit or veggie on your plate. Hops, though, is harder to come by, so in late July home-brewers should scoot over to Hop’n Blueberry Farm in Black Mountain. 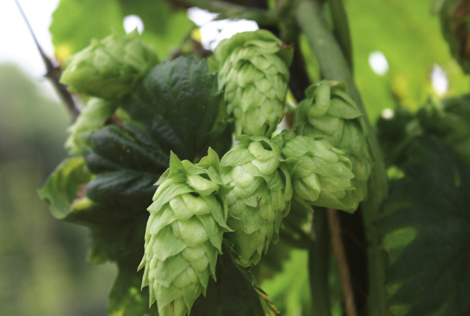 During the Hop Harvest Tour, visitors can sample beer made at nearby Pisgah Brewing using the farm’s hops. Farm owner Van Burnett will talk about ins-and-outs of growing the vines. 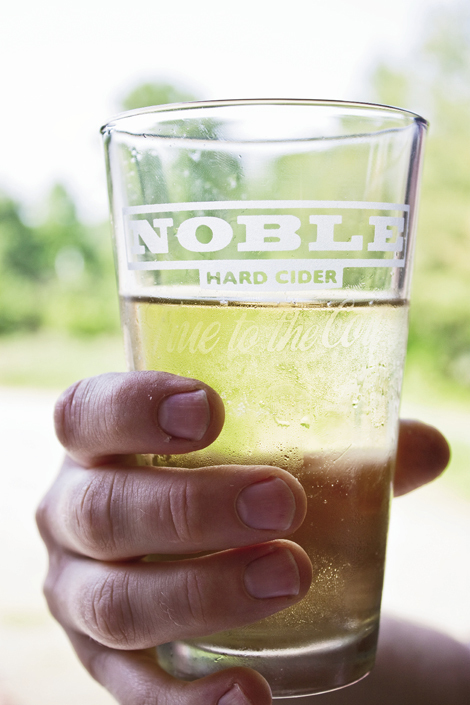 Later in the summer, come back for the second harvest to pluck local flavor for your next batch of suds. Check www.hopnblueberryfarm.com for dates, which are determined by the vines. 24 Middle Mountain Rd. ; farm tours Saturday, noon & 2 p.m.; (828) 664-1166. Our biscuits, crudités, chips, pretzels, and sandwiches need never go bare considering we can stock an entire pantry with locally made savory, sweet, decadent, and fiery condiments. We’re not sure what sparked the local love affair for creating phenomenal sauces, spreads, and jams, and we don’t really care. Why question a great thing? A side project by Ragan Evans Lewis and Tara Letts, owners of Colorful Palate catering, True South Food conjures up a whole mess of spreads and sauces. In addition to these pimento cheeses with kick, there’s black-eye pea hummus, sweet onion cream sauce, and Big Boy Bean Dip (made with beer, gentlemen). 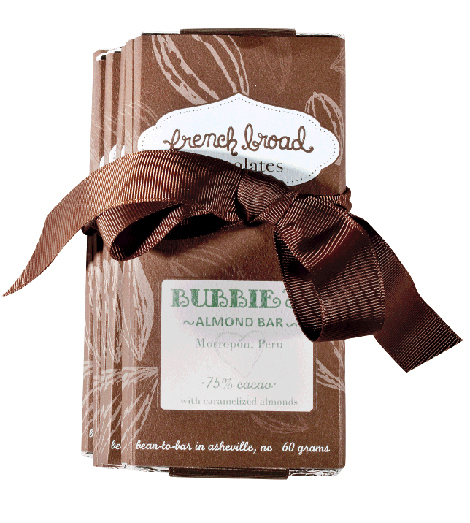 Available at Livi’s Pantry and Woolworth Walk Soda Fountain in Asheville, and Artisan Gourmet Market in Black Mountain. www.colorfulpalate.com. At her farm in Valle Crucis, Cheryl Piracci cans jams, sauces, and occasional jars of pesto with ingredients from her garden. 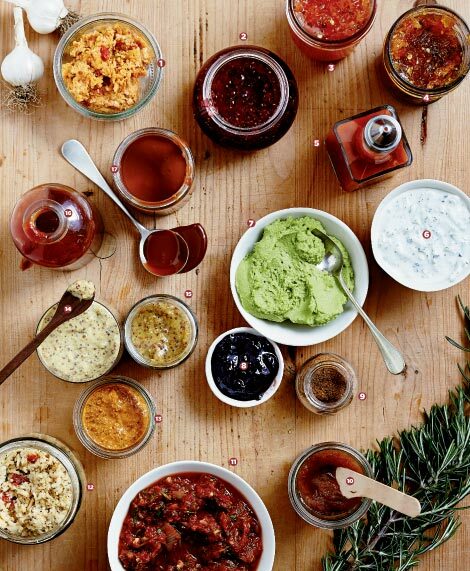 The savory jams win folks over instantly and fly off the shelves. Available at Stick Boy Bakery in Boone, Blowing Rock Produce & Provisions, Erick’s Wine & Cheese in Banner Elk, and Watauga and Blowing Rock farmers markets. (828) 963-8052. Apple-wood smoked peppers grown on a mountain patch are the core of Dorene and Pete Jankowski’s collection of hot sauces, including smoked serrano, habanero, as well as habanero barbecue sauce and chipotle salsa. Available at Earth Fare, Greenlife Grocery, and specialty food stores. www.firefromthemountain.com. Made at a small family farm in Fairview, these berry jams and apple butter are staples at farm-to-table restaurants and on breakfast tables across the mountains. Available at Earth Fare, Ingles, North Asheville Tailgate Market, and Whole Foods. www.imladrisfarm.com. Blended with a host of peppers, many of which are grown on a 10-acre farm in Candler, this extensive line of natural sauces and rubs pleases grill masters, hot sauce fans, and cooks with balanced flavors. Available at Greenlife Grocery, French Broad Food Co-op, and Good Stuff Grocery in Marshall. www.smokingjsfieryfoods.com. The heavenliness of these course-ground spread make even the dullest pretzel a tasty proposition. Available at Earth Fare, Ingles, Whole Foods, and specialty markets. www.lustymonk.com. Celebrated for its artisan cheeses, Looking Glass Creamery recently received a big nod for its carmelita sauce. The blend of goat milk and sugar boiled in a copper pot over slow flame took the confections category at the Good Food Awards. There are three flavors: traditional, coffee, and bourbon-vanilla. Available at Black Mountain Tailgate Market, Earth Fare, Ingles, Whole Foods, and specialty gourmet markets. www.ashevillecheese.com. There must be something in the water. Sierra Nevada, the nation’s second-largest privately held brewery, looked at hundreds of sites on the East Coast before selecting Mills River for its new facility. Tapping into Asheville’s 20,000-acre protected mountain watershed, New Belgium is building a 206,000-square-foot brewery in West Asheville to make its iconic Fat Tire ale and other beers. Another big player, Oskar Blues, opened its East Coast operation in Brevard last year. Sierra Nevada expects to begin brewing this fall. 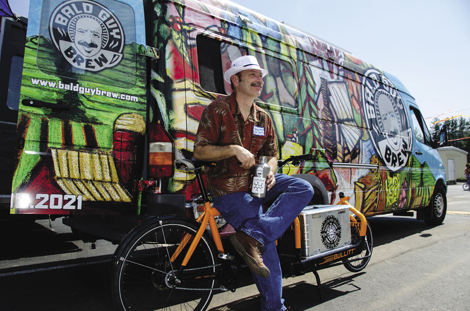 New Belgium plans to start in 2015. www.sierranevada.com; www.newbelgium.com; www.oskarblues.com. Our list of awesome food offerings could easily have grown to 100 plus, so we want to know what you love about the region’s restaurants, chefs, farmers, artisan food producers, and breweries. Visit www.wncmagazine.com to share your picks, and see more we couldn’t resist writing about, including great ice cream shops and cooking classes. Written by Louisa Amsterdam, Paul Clark, Rita Larkin, Megan Northcote, Melissa Reardon & Constance E. Richards. Photographs by Pohnny Autry; Food and Prop styling by Charlotte Autry; (Brevard Brewing) Meyer Photography; (Posana Cafe) Martha Pollay; (Bread & Cheese) Johnny Autry, Food and Prop styling by Charlotte Autry; (Carolina bison) Brittany Callahan; (Earthperks) Konutko; (Farm to Home) Kathryn Ray; (Cobbler) by Christopher Shane; (Asheville Food & Wine Festival) Camilla Calnan, Courtesy of Appalachian Sustainable Agriculture Project; (Noble Cider) Kathryn Ray; (Beer School) Capturing WNC; (Shelton Vineyard) www.visitnc.com; Courtesy of Looking Glass Creamery (Highland Brewing) Drew Stevenson; (Bald Guy Brew) K. Jackson; (Cocktail) Johnny Autry; (Feast) Kate Justen; (Chocolate) Kathryn Ray; (Feastie Boys) Kathryn Ray; Courtesy of A-B Tech; (Hops) Courtesy of Hop'n Blueberry Farm; (Condiments) Johnny Autry, Food and Prop styling by Charlotte Autry; Courtesy of Sierra Nevada & New Belgium.